A New Season as the Snow Arrives! Many thanks to the Bruce Grant Youth Trust and Altitude Brewing for your generous support towards my sporting career. I am honored to be a recipient this year, which is an important one as we head in to the next winter Olympics. On snow training kicked off a few weeks ago, six days at The Remarkables with back to basics drills where conditions held up well considering the early season snow levels. This was followed up by a strength and conditioning camp and some more testing where I was pleased to produce some personal best results going into the start of our New Zealand season. Our strength and conditioning coach, Ben Griffin, has been keeping us on track with great support. 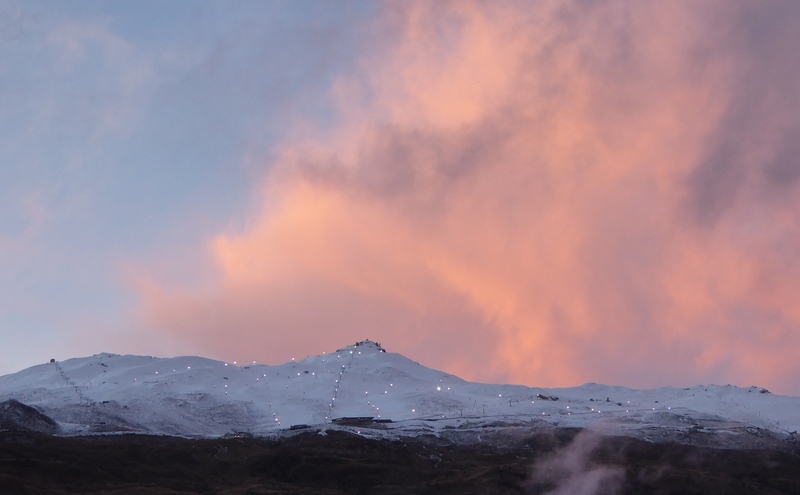 On snow training is now underway at Coronet Peak and it’s great to see some much needed snow falling. Rocky Gully is up and running and the snow and cold temperatures this week will make for some excellent training conditions. Thanks heaps Phil & Julie – The Roof Box Company – loving the roof box. It fits a great number of skis in as we head up the hill for training each day – six pairs of slaloms this morning which would have been an issue in the vehicle along with bags, boots, poles and all the assorted equipment not to mention athletes and coach! The coming weeks will be busy with training as we gear up for the first races of the season, starting at the end of July. This entry was posted in Updates and tagged Altitude Brewing, Ben Griffin, Bruce Grant Youth Trust, Coronet Peak, Nils Coberger, Roof Box Company, Strength & Contitioning, The Remarkables by Adam Barwood. Bookmark the permalink. Best of luck for the upcoming season.